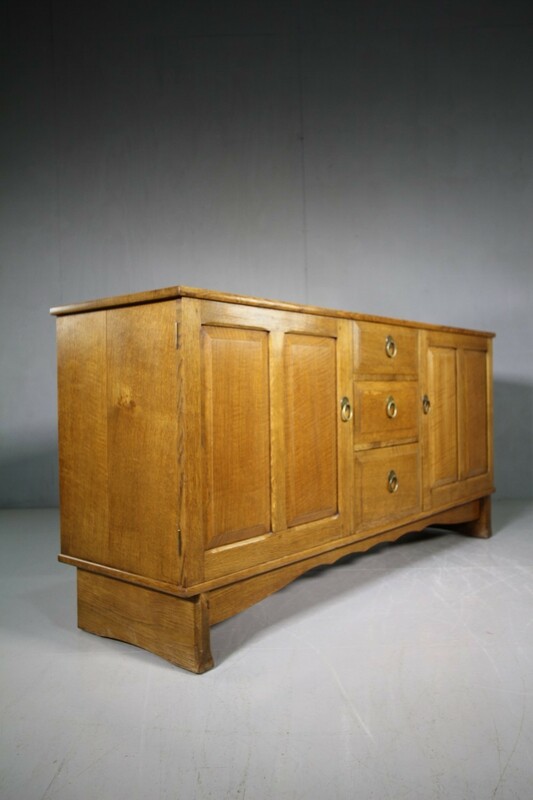 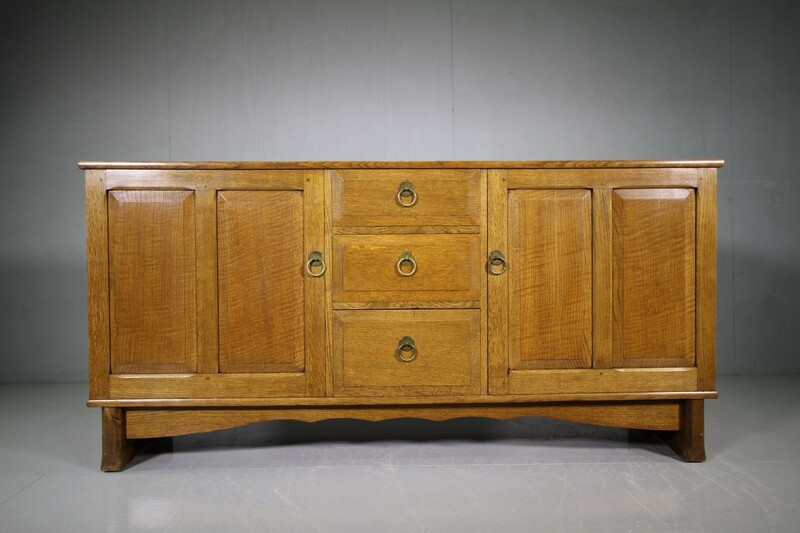 This is a very good quality, solid English oak dresser, made by Arthur Reynolds of Ludlow for Heals of London in the forties. 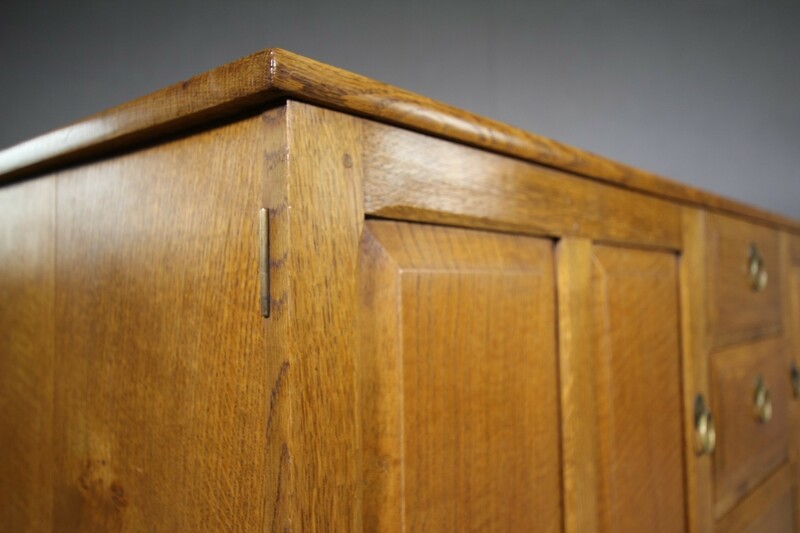 In superb, clean condition. 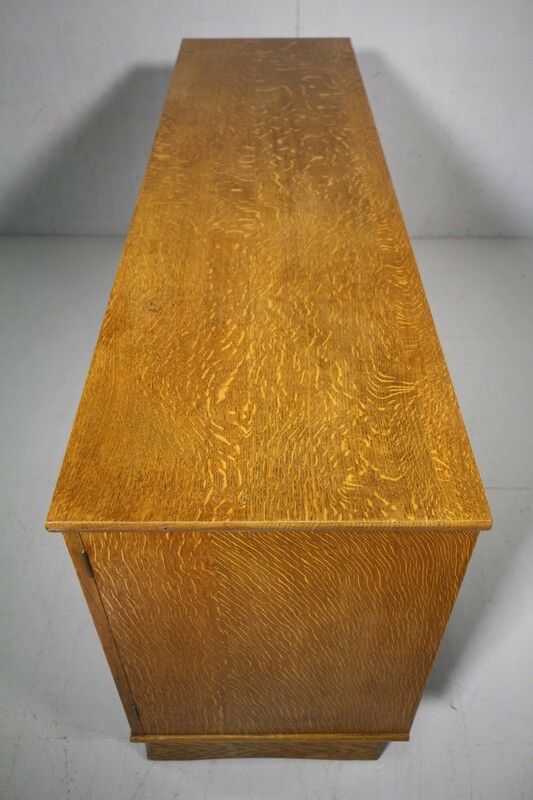 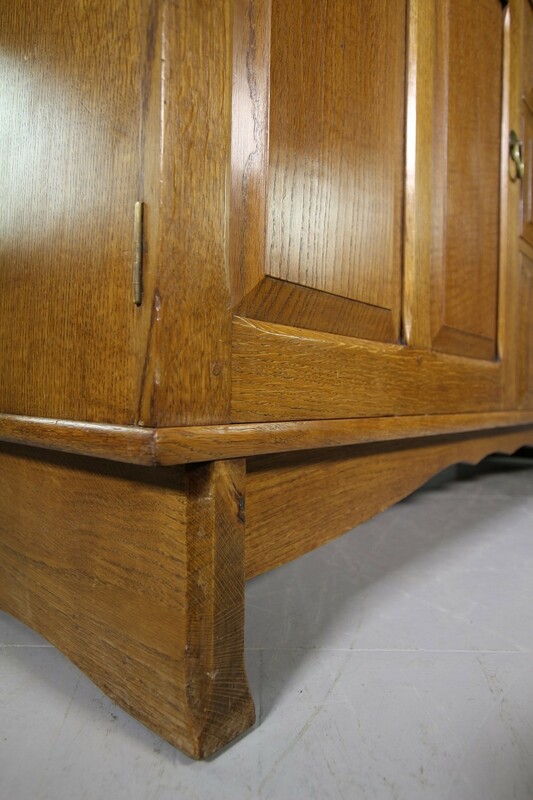 This Heals dresser base features a flight of three drawers to the centre with cupboards to each side. 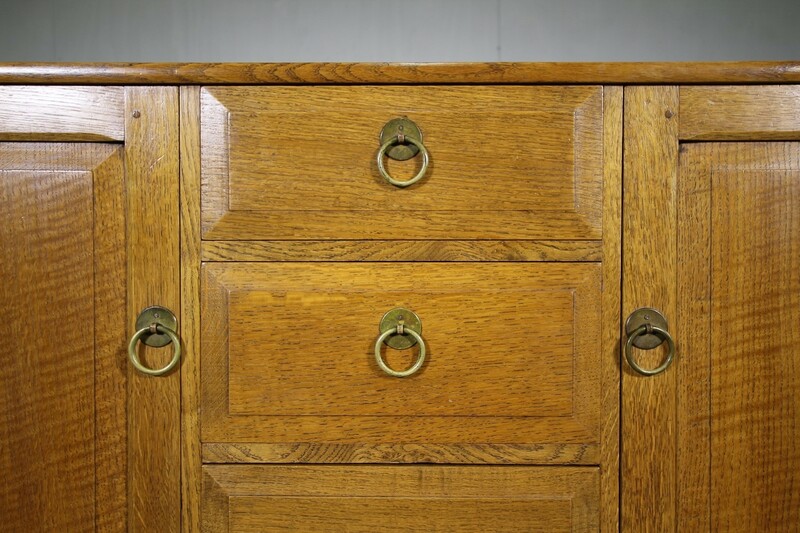 The drawers have raised panels and original brass ring handles, the cupboard doors have two raised panels and handles to match. 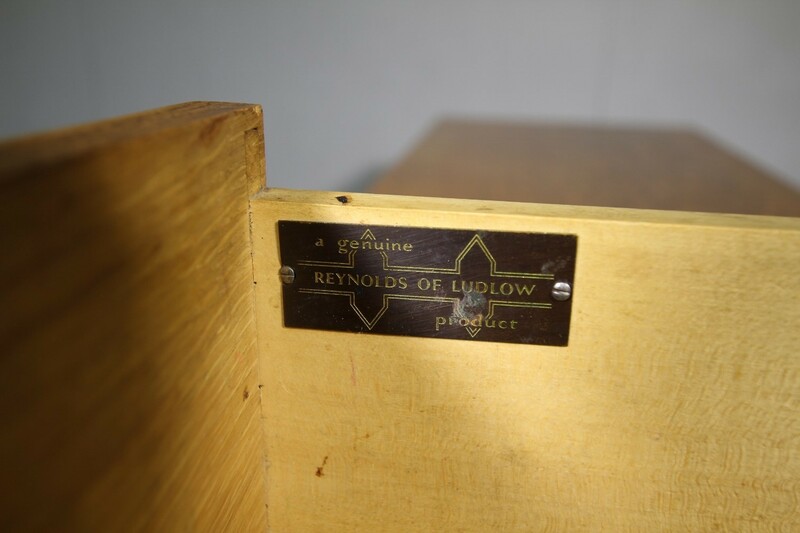 A good, strong Cotswold School design, metal Reynolds makers label in the top drawer. 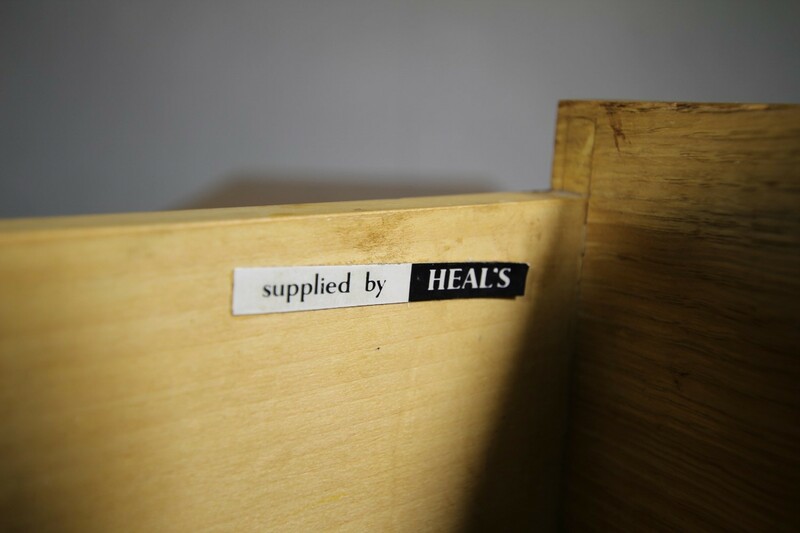 and the Heals paper label is present too. 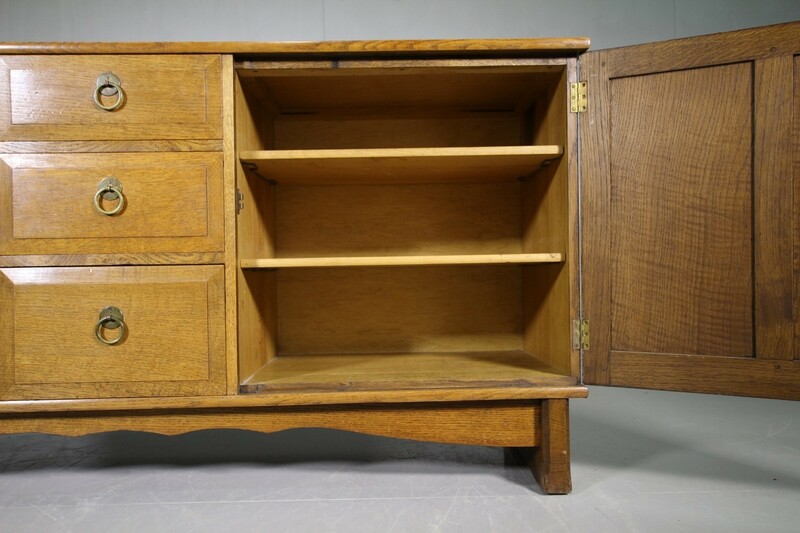 Inside are three adjustable shelves. 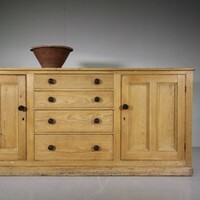 All in excellent condition, a lovely example in more unusual configuration.